Hoshizaki is a leading manufacturer of commercial kitchen and food service equipment. 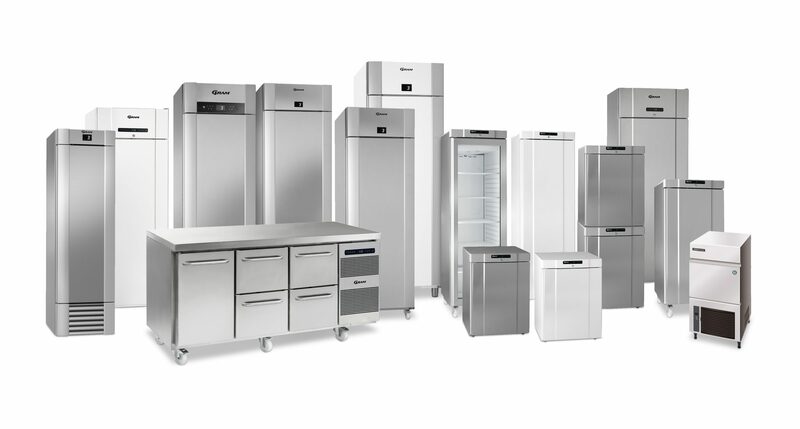 Creators of Japan’s first fully automatic ice maker, Hoshizaki’s range now features an extended line of kitchen and food service equipment including ice makers, dispensers, refrigerators, freezers, and sushi cases. Placing reliability, durability and energy efficiency at the centre of the design process, Hoshizaki has built an international reputation for high quality, well-designed products. By merging fully with refrigeration specialist Gram Commercial in 2017, Hoshizaki has brought together the brilliance of Japanese engineering and the intelligence of Danish design, with the collaboration creating one of the world’s most connected, innovative and responsible manufacturers of cold solutions. Gram products boast some of the most energy efficient features on the market, and the introduction of Emerald Class ice makers has ensured the Hoshizaki portfolio is at the forefront of sustainability. Fully supportive of the EU Ecodesign Directive, both Hoshizaki and Gram products are comprehensively tested to ensure they house the most energy efficient technology whilst meeting a range of space and budget requirements.